With modernization, a lot of things, people, professions, beliefs, norms are changing but what we see changing the most are brides. Moving away from the stereotypical red colour lehengas, brides today are trying varied combinations of colours, designs, prints, label designers and what not. In a way, it is good to see our country progress.Since the last few years, we can see a vast difference in the way brides have been dressing. Brides now are more choosy and experimental. Everyone wants to stand out and be different. Times are changing and alongside so is the colour of your wedding lehenga which, in a way, is very exciting because each wedding lehenga then becomes #goals. Right from bright colours like green, yellow to dark colours like purple, grey even black. From simple embroidery and prints to floral patterns and rustic palettes etc. All brides want to look the best on their wedding days; therefore, a lot of decisions have to be taken keeping various factors in mind like the type, print, design of your lehenga. 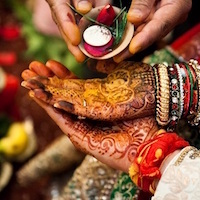 The first and foremost point to keep in mind is the time when the wedding is going to take place, it may be in the morning, afternoon, evening or at night. Some weddings are influenced by their culture as well as Punjabi’s mostly have weddings in the day whereas Marwari’s have it at night. It may be according to the choice of the bride and groom or their family or even the pundits in many cases. The next point of importance to decide your wedding lehenga colour is that where the wedding is taking place. It may be in the hometown of the bride and groom or it may be a destination wedding. In the case of a destination wedding, one can expect fancier themes, lesser guests and more focus on the bride and groom themselves. On the other hand in home weddings, more effort goes towards pleasing the attendees rather than the ones getting married. Who is planning the wedding also needs to be factored in while deciding the colour of your wedding lehenga. It may be the couple themselves or it may be the wedding planners. In the case of the former, there is complete freedom of choice but in the case of a wedding planner, the decision might be influenced. To decide your lehenga colour, the budget also holds some importance in the sense that larger the budget larger the number of options available. Budget differs from family to family and person to person. Some families have a tradition to wear their traditional dress which is actually a legacy followed by a number of generations. In such cases, there is practically no choice and the bride and groom have to wear what they are asked to wear. The complexion of the bride matters in clothing her, as all skin tones do not go with all shades. For instance, a bride with fair complexion would prefer to go for softer colours like yellow, sky blue, pastel pink etc. 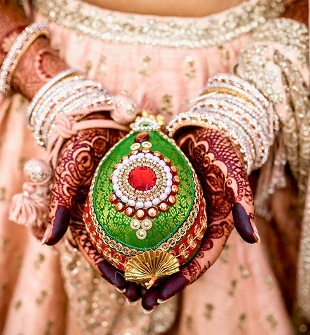 where as, a bride with wheatish skin tone could go for maroon, brown, purple etc. This is very important while deciding your wedding lehenga's colour. The season of the wedding is also of significance as the colour of your wedding lehenga should be influenced by that too. Like during the season of spring, the bride must go for light and bright colours and during the fall, she’d rather choose colder shades. Sometimes, brides fan girl even in their weddings. They would rather wear a lehenga which their favourite actors wore in some movies. They are adamant on wearing a lehenga same as that of the actor. There is also the case of Designer Dilemma where everything is foregone for the label of a certain designer. For example, Sabyasachi, Ritu Kumar, and Manish Malhotra have a huge cult following among Indian women. There are several factors which influence the choice of the colour of the lehenga. Some reasons are actually genuine, some whimsical whereas some are just according to the latest fad. In earlier times, the motive of most parents was to get their daughters married at the earliest possible and social evils like Sati, dowry and unbounded patriarchy plagued all levels of our society. Things aren’t completely better but we are seeing positive change and aspiration in our society. Our society is evolving with the passage of time and our perspective of weddings is a lot different now. Earlier, the daughters of our country didn’t know the person or have much of a say in who they would marry, let alone what they were going to wear. Whereas today we see numerous families adopting progressive values and allowing women to freely voice their opinion and make their own decisions. 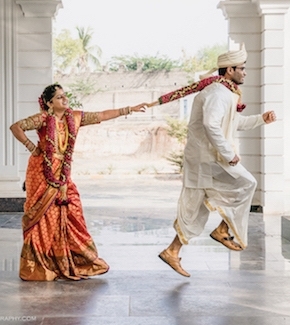 The grooms are losing relevance and the bride is becoming the centre of attention.